I have been using the "Bash on Ubuntu on Windows 10" feature since it was released with the Windows 10 Anniversary Update. This is a fantastic addition that allows the user to run Linux programs natively in Windows, using the "Windows Subsystem For Linux" aka WSL. Beyond just enabling Linux binaries to run, Microsoft partnered with Ubuntu to bring the full package ecosystem of Ubuntu, meaning new Linux programs can be installed by using Ubuntu apt-get package manager. However it appears that unlike the rest of Windows it is not currently automatically keeping these packages up to date by default with security patches. I'm using some customizations and an alternative shell (more on that in a future post), and today when I logged in I noticed that there were a number of new security updates available. While Ubuntu has an included unattended-upgrades package that is installed on WSL, it does not automatically run. This post documents one method for installing these updates: by creating a Windows scheduled task. First I updated the sudoers configuration to allow apt-get to run as root without prompting for a manually entered password. %windir%\system32\bash.exe -c "sudo apt-get update && sudo apt-get -y upgrade"
Once that was confirmed to work, I added a scheduled task. You can do this either through the Task Scheduler GUI, or the command line. I used the following command line and XML configuration so that I can reproduce it reliably in the future as needed. schtasks /run /i /tn "UpdateLinux"
Bash on Ubuntu on Windows is an excellent new feature of Windows 10, and hopefully this will help others who want to keep it up to date with security patches. Recently Didier Stevens wrote an interesting article and related SANS posting regarding Windows Backup Privileges. In it he presented a modified cmd.exe from ReactOS to allow asserting the backup privilege which bypasses traverse checking and file DACLs. I had looked into similar techniques as well, and his article prompted me to put together a video adding to what Didier has posted. In addition to using a local process to access files using backup privilege, Windows supports asserting a "backup intent" over network SMB/CIFS connections. 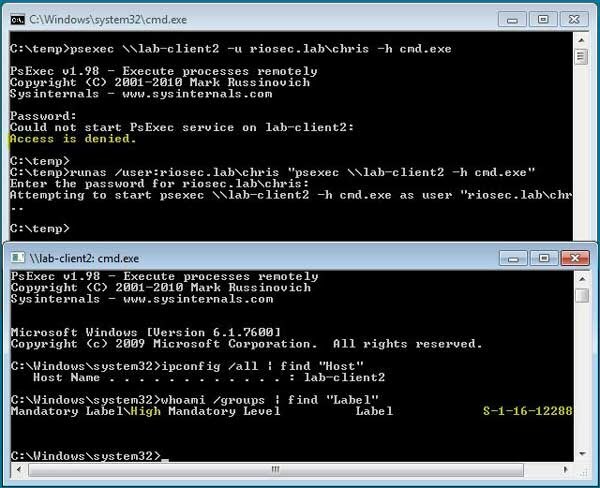 This allows someone on a remote system, using an account with backup or restore privileges, to read or write files and traverse file systems regarding of DACLs. Fortunately, there are already a couple of Linux tools (smbclient and mount.cifs) that already implement this capability. This can be extremely useful during penetration tests. I put together a video that demonstrates this capability below. Also in follow up conversations on Twitter, there was some questions raised about using this functionality with native Windows commands. I have found it is possible to do using native PowerShell (using this script) and RoboCopy with the /B option. RoboCopy allows both reading (backup) and writing (restore) files, but does not work when the parent directory is inaccessible (therefore requires copying entire folders when a parent folder is inaccessible). The following screenshot illustrates this. For future consideration, it should be possible to read and write files using native PowerShell; the library SeBackupPrivilege by giuliano108 does exactly that, but uses compiled .DLLs. With a little more time and PowerShell work it should be possible to accomplish the same thing in native PowerShell. Thanks to Didier for the interesting article, and I hope you find this additional information useful. I've consolidated several posts about presentations here, the presentations are attached. Back in April I presented at the St. Louis ISSA on wireless security issues. This included a wireless security overview, enterprise security issues, hotspot (guest) network security issues, and an introduction to Open Secure Wireless - a project I've been working on as a possible solution to unencrypted hotspot wireless. More on Open Secure Wireless in my next post. I am currently working on a major revision to my Open Secure Wireless project to incorporate changes introduced with IEEE 802.11u. The changes to 802.11 are part of what the Wi-Fi Alliance is calling "Hotspot 2.0", which they plan to launch in 2012. It appears that the Wi-Fi Alliance and Wireless Broadband Alliance may be currently focusing this effort on mobile carriers and service providers rather than smaller open and public hotspots. However, the changes introduced in 802.11u could also be used to enable a hotspot to be both open and secure. I am referring to this project as Open Secure Wireless 2.0 (OSW2), and I encourage the Wi-Fi Alliance to consider adopting this as a component of Hotspot 2.0. A paper (and hopefully code!) will be forthcoming soon, but read on for the background and overview of how this might work. In May 2010 I posted a paper on "Open Secure Wireless" - a method by which wireless hotspots can be both open and secure simultaneously. A few months later Tom Cross and Takehiro Takahashi with IBM X-Force posted an article introducing similar method they called "Secure Open Wireless Access". Although we developed these approaches independently, both proposals utilize EAP-TLS without client authentication and other similar features. Since discovering that we were working on similar projects, we have been working together to try to get acceptance and deployment of secure and open hotspots. Although both methods are RFC compliant and have been shown to work in lab testing, they still require modifications to the behavior of wireless authentication servers and supplicants. One of the biggest sticking points for most people is validation of the server certificate to prevent man in the middle attacks. Although this is an existing challenge with EAP-TLS and PEAP networks, the use of TLS in public hotspot networks exasperates the concern. In my paper I suggested under “Future Work” that the SSID could be compared to the CN or SAN of the x.509 certificate, similar to how web browsers compare host name to CN and/or SAN. Unfortunately the SSID is limited to 32 octets, which may not be long enough for all domain names. IBM X-Force in their paper proposed an additional information element they called the XSSID (eXtended SSID) to support full length and international domain names. Since then, IEEE released an update to the 802.11 standard called IEEE 802.11u-2011 in February 2011. Under the IEEE Get program, the 802.11u amendment became publically available six months later. It is published at the IEEE Get program page for 802.11. 802.11u defines several key changes to 802.11 that can help enable the possibility of open and secure wireless hotspots. These include an Interworking information element and several Access Network Query Protocol (ANQP) elements that, put together and combined with EAP-TLS without client authentication, may achieve this purpose. The Interworking element can be used to advertise the availability of an 802.11u capable network, the access network type (for example, free public network), and that Internet access is available. 802.11u capable clients will query 802.11u capable APs for additional information using ANQP. 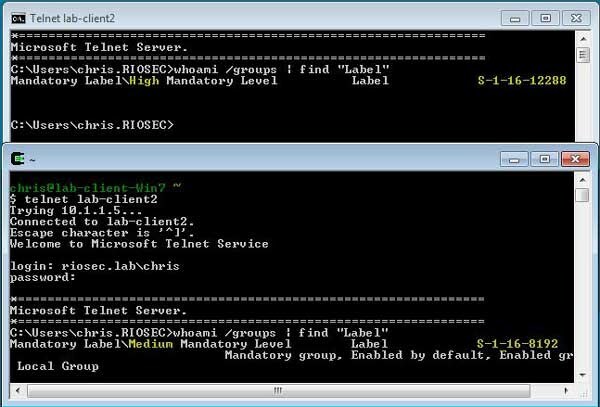 This can include a request for an element called the Network Access Identifier (NAI) Realm list. The NAI Realm list includes one or more NAI Realms (defined according to RFC-4282) and optional EAP methods and authentication parameters to access associated with the realm. Using this method, an Open Secure Wireless 2.0 hotspot would respond to the NAI Realm list request with the domain name associated with their public certificate, an EAP type of EAP-TLS, and a credential type of 8 - None (server-side authentication only). The authentication server sends it's certificate, and other chained certificates, as part of the TLS Server Hello. The server does NOT send certificate_request to the client. The wireless supplicant would then compare the domain portion of the CN and SANs contained in the x.509 certificate with the NAI Realm to verify that the NAI Realm is associated with the x.509 certificate. Optionally the wireless supplicant would process a stapled OCSP certificate to enable certificate revocation checking. The user interface during this process is key. It is obvious that there will be UI changes for 802.11u clients for listing and connecting to hotspots. It is important that the domain name be prominent in the UI as this is the part that is verified against the certificate. As part of this research I will also be looking into using parts of validated Extended Validation (EV) information from EV certificates. This process would allow a wireless client to establish a secure connection to an open public hotspot without authentication and without a prior trust relationship. Open Secure Wireless 2.0 leverages existing standards (EAP-TLS and 802.11 amended by 802.11u), and could, if adopted as part of the Wi-Fi Alliance Hotspot 2.0 program, be widely deployed by vendors. With Wi-Fi Alliance and vendor support, it could potentially improve the security of millions of public hotspot users worldwide.